I’m very excited to share with you the second part of my Christmas Gift Guide in collaboration with The Mamahood - a beautifully curated directory of creative small brands across the UK. I hope this will bring lots of original ideas for presents for the family and encourage you to do some thoughtful planning and early purchases. Please try to avoid those last minute Amazon rushes as you never end up with the good stuff! These brands are the very best mum-run creative businesses around so please show them some support and take a minute to see what they have to offer. I know I would rather spend my money on something lovingly made and unique and help a small brands dream. They are relying on us, especially at this time of year! How adorable is this little cape! Made from 100% cotton baby cord and lined with sherpa fleece. The perfect cosy cover up. Each cape has hidden arm holes in the side seam to allow little hands to reach the deep printed pockets and to easily hold hands whilst wearing their cape. You can even get it personalised on the label which is such a nice touch. My January Baby is a collection of handmade children’s clothes and accessories set up by mum of three, Helen. She also has the sweetest baby bonnets and this star wand would be a perfect Christmas gift addition to the dressing up box. Make and Wonder’s monthly art club boxes are for children aged 3-10 years. Each monthly art subscription box is designed to spark your children's imagination and creativity. Each Month they highlight a strong creative woman and share the story of her life and work, for example November’s box is Frida Kahlo. 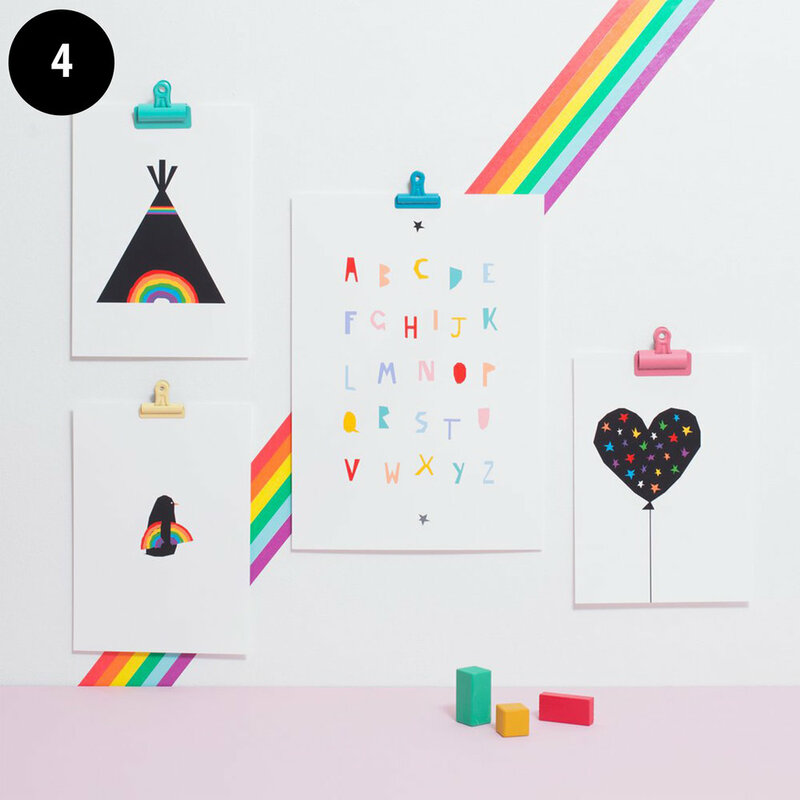 The boxes contain the story of a creative female, four fun ideas and high quality craft materials for one child. Open-ended play enhances children’s imagination and supports creativity and problem solving. These kits, set up by Nicola, a mum of two and a Primary School Teacher, are brilliant for any budding or curious artist. They make a lovely alternative gift for Christmas, anything to support children to love art is a good thing in my book! A beautiful scarf makes the perfect gift. These limited edition ones are stunning heirloom worthy pieces to be loved and handed down to the next generation. The perfect gift for a mama. Woven by a micro mill in Bristol I love that these are modern looking textiles using traditional techniques. By Cecil was launched by mum of two, Cecilia Child. The products are inspired by the landscapes of Shropshire, the rugged British coastline and the modern architecture surrounding her home in North London. I’m also a big fan of these wool cushions and silk eye masks. Colourful and uplifting prints are a must have in any child’s bedroom and these Ingrid Petrie ones will be adored by all ages, what a lovely treat to open on Christmas Day. All prints are designed with love and care by Scottish mama of two Ingrid and produced using high quality materials within the UK. Pick from three sizes and create a gallery wall with a few of them which will brighten up any space. She also makes these fun Cacti and Botanical prints which would work well in more grown up spaces too. How many of us had such good intentions about having a baby book with your child/children where you document all their developments? Well it’s not too late! I love this book - it’s a place to record all the wonderful moments and memories from age one to sixteen. There are a series of fun questions to be filled out by you and your child for every year. Designed to prompt positivity and affection through delightful answers that builds into a lasting memento to be treasured for years to come. Set up by mum of two, Ruth, this is the perfect place to record childhood in a beautifully designed bookend would make a nice present. You can pick from a choice of 6 colours. All kids love to dress up! Fact! Transform into a superhero in this cosmic cape and crown and go on that epic childhood adventure. It’s so hard to find unisex, well made (none of the Made in China highly flammable stuff) and well designed costumes which encourage creative play. iwishiwasa make brilliant capes, cuffs, masks and belts that would make any child happy - you can mix and match or buy the complete set. Everyday should be dressing up day when you’re a kid so make one happy by giving them a set to open under the tree this Christmas! All made in the UK with love and care. Created by textile designer & film costumier Tamsin Thorne as a response to her dressing-up-obsessed son. 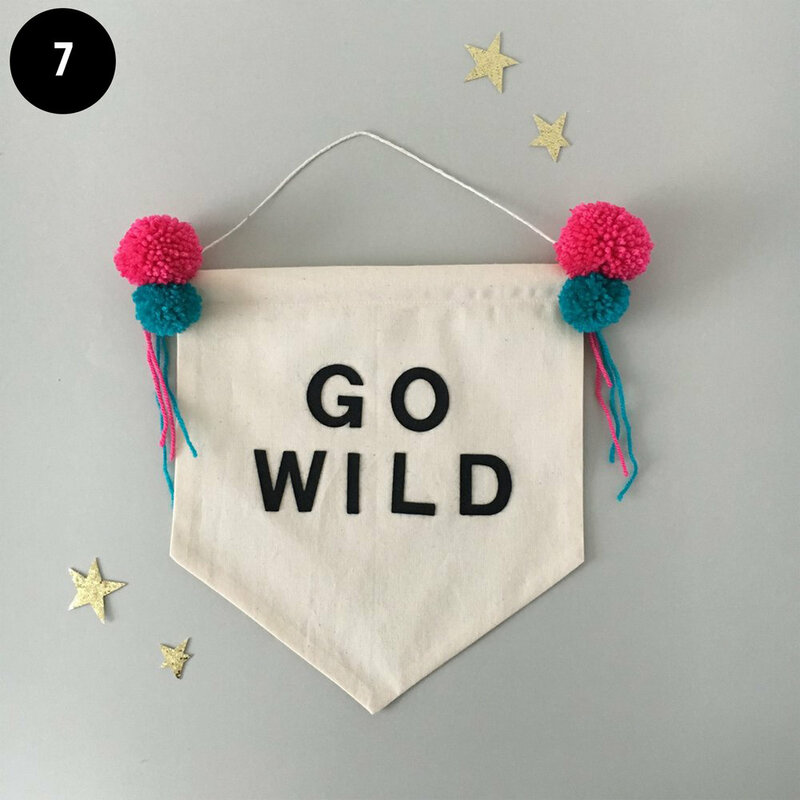 We all need a reminder sometimes to ‘go wild’ and these little banners are brilliant for kids or adults to hang up in their home. You can choose your own pom pom colours if you like too. She has plenty of other options to pick from, including ‘Be Happy’, ‘Stay Curious’ and ‘Just Dance’. Such a lovely gift idea! The Sewcial Circle also designs craft kits for kids and adults to encourage creative making - from pom poms to jewellery. Mum of two, Katie, runs the The Sewcial Circle from home and aims to inspire creativity and encourage making for all ages and we think that’s pretty cool. Lara & Ollie always have the nicest selection of colours in the very best teething necklaces and bracelets around, I should know, I own many myself! I love the mix of metallics and blush in this Orla style but there is a whole rainbow of colours to select from, something for everyone. 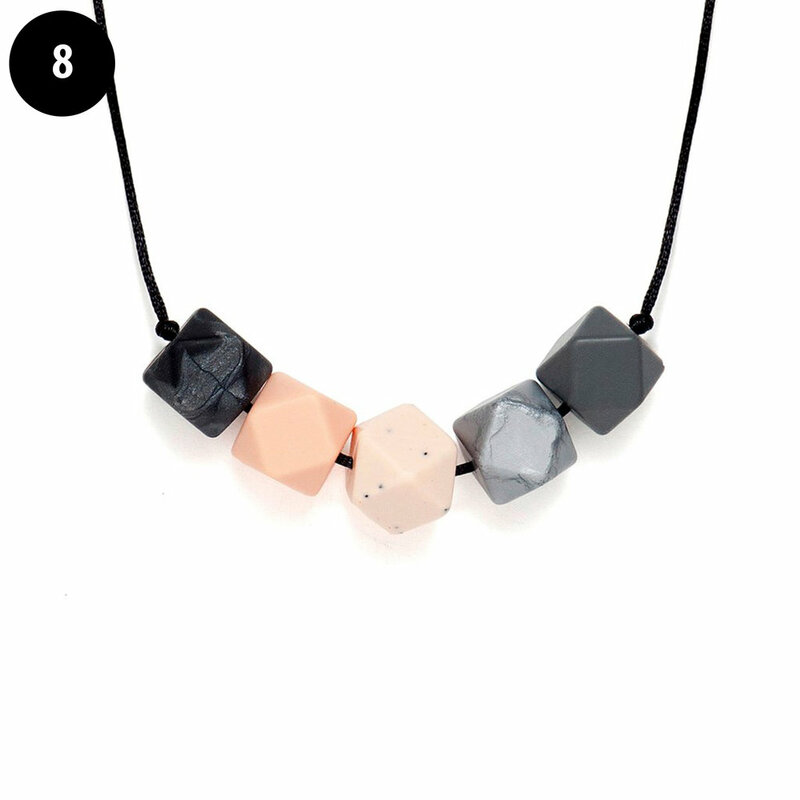 Set up by two South London mums, this stylish jewellery (that is safe for baby to chew and fiddle with) is a must have pressie for any mum or mum to be. Get 20% off with the code FINLAYFOX at checkout. Parrot Street Book Club’s mission is to help parents nurture a love of reading in their children by encouraging them to read more, read more widely and by taking the stress out of choosing or suggesting books for their little readers. Set up by two book mad mamas I think this would make the ideal gift for a school age child up to 11 years. Each month children receive a parcel addressed to them containing a brand new chapter book which they might not have discovered on their own. They also get an activity pack which makes it easy for children and their families to engage more deeply with what they’ve read through discussion, crafts, games, trip ideas and more. Anything to inspire kids to love reading! These colourful, bold graphic prints make bright and fun reminders of where you live. The perfect piece of wall art for friends or family to cherish. Set up by printmaker and illustrator, Sinead, who is a mum of two and a former picture editor. Pick from her selection or request a custom order if there is something more specific you can’t see.